Apparently Rory Byrne has also had some influence on the design as well. 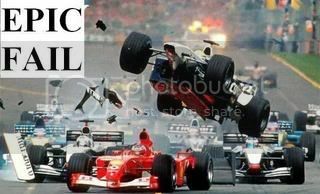 > McLaren and RedBull influences! > in front of the sidepod. > from 2001 - coincidently driven by Alonso. > could very well see low noses once again! Yippee! Does anyone know of all the cars reveal dates? So far i can only find 4... Mclaren 1st Feb, Red Bull 6th Feb, Caterham 26th Jan, Marussia 21st Feb. Any others been revealed? Also i didnt realise the Marussia would be the only team running without KERS this season? Surely that would hurt them in the fight with HRT and possibly Caterham? Edited 1 time(s). Last edit at 01/24/2012 05:20PM by truecrysis. Force India and Ferrari are revealing their cars on the 3rd, Lotus on the 5th and Sauber on the 6th. "As we couldn't keep a secret anymore @rubarrichello will be testing for us. Very proud he can help @kvracing and myself with his feedback". Go Rubhino! I hope that he finds a drive somewhere that satisfies his obvious passion for racing, soon. Apologies if this is too far off-topic! Yeah, I've read about this in the last day or so as well, Rubens seemingly with a good chance of going away to race in the USA. I guess if he wants to carry on his career in single seaters and also keep a race seat that'll be the way forward. Pushrod/Pullrod variations basically determine where you mount the suspension from (iirc). When high noses became the fashion, push-rod was the favoured, because it could be mounted higher up, and everything sat tightly higher up the car, above the driver legs. 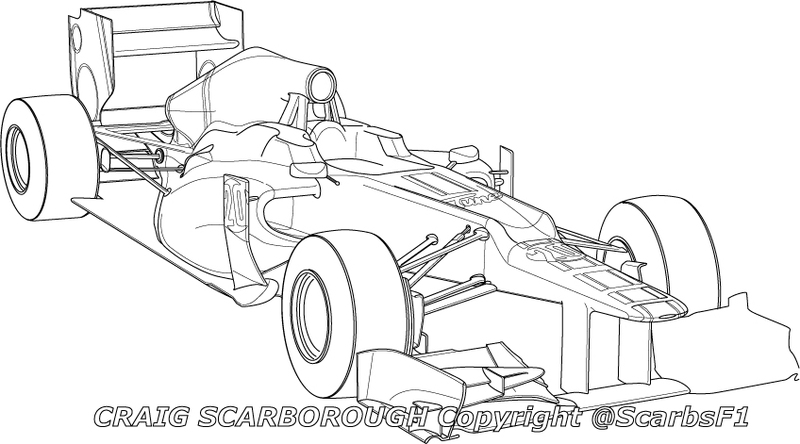 New regs mean that the noses are lower (like before), and thus the suspension can be mounted lower down (such as below the drivers legs). If you mounted a pullrod suspension on a high nose car, the aero would be all over the place and it'd look a mess. I suppose he could do a campaign in which he just contested the road courses, much like Bourdais did last year. > Apologies if this is too far off-topic! Lotus chassis is now the E20, dropping the Rxx from previous years. Last year's car was called the R31, in accordance with Renault's numbering tradition, but with the name-change to Lotus for 2012, the team has decided to honour the factory staff by naming the new car E20 - 'E' for Enstone. The '20' is a reference to the fact the new single seater is the twentieth made at Enstone since the then Benetton team relocated in 1992. The E20 will be revealed on February 5, the day before Kimi Raikkonen debuts it at Jerez on the eve of the opening 2012 group test. That breaks a long pattern of naming, as even Benetton and Toleman used a similar naming pattern to what Renault did back into the 1980s. True, but I don't think that's a bad thing, since it's no longer really recognisable from when it was the Benetton team anyway, there have been so many changes. Check this from Craig Scarborough. If that's any where near accurate then it's a impressive photoshop effort. But it shows that the nose/tub isn't quite as hilariously ugly as perhapps first feared. Bored with the Caterham now I want to see the Ferrari. Some of us are scarred with the Caterham! It looks lovely from above.